Mickey Costa is the CEO and co-founder of Atlas Holdings, a P2P branchless banking platform that connects people who want financial services with the people that can provide them, and co-founder of ACX Network, a ​financial services net​work facilitating loc​al economic development through on-demand mobile banking​ and crowdsourced problem-solving. This is a transcript of an interview conducted in the Spring, 2018. To stay up to date with ACX, check out their Medium page. 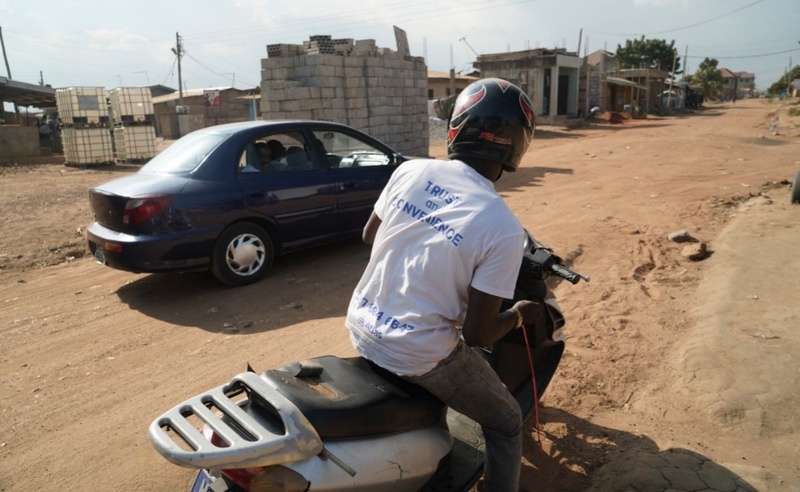 We’ve had Atlas for two-plus years in West Africa, where people with a smartphone will bank the community around them. They walk around every day to collect daily deposits; they can also give withdrawals and offer free financial advice on how to save for school fees or for a loan. We’ve also given out over 3000 microloans of about $100 per month. We’ve had a zero percent default rate, so we’re also debunking that whole myth. No one’s bank has a credit score, so it’s risky in Africa. Yet it’s a bustling economy with people that are very responsible; they just need access to capital that we take for granted. It’s a kind of a sharing economy model, with users paying a very small fee of each month for this convenient and trustworthy service. So far we’ve created about 400+ jobs for these bankers. We have 20,000 active users; they’ve taken in over $2 million in deposits. Access Network is decentralizing banking infrastructure for the unbanked. More importantly, we’re giving the unbanked and underbanked tools and governance models regarding what future applications they’ll use, as well as foundational Savings and Loans opportunities. They’re going to adopt crypto first because they get excited talking about a distributed autonomous organization. But they really need to build that business right. They’ll be incentivized to earn and spread the word. What people are saying now is very true: the infrastructure isn’t there yet. Smart contract networks like BItcoin have a lot of scaling problems. But I find blockchain exciting. It’s right around the corner. We’re the kind of company focused on creating that mass application. We’re looking to make sure we can be blockchain agnostic, working with the right chains, kind of like finding the right asphalt that’s building out the road so we can put high-powered cars and build cities on top of it. So it’s a two-part problem. You know it’s chicken and egg; you have to focus on the infrastructure, yet at the same time everyone’s blindly doing it. You have a big interstate highway with nothing around. It’s important to focus on mass applications; it’s a good problem to have. You have to be adaptable over time. You’re seeing immutability and transparency of ledger systems right now. But there are wider applications, like in voting. I was observing elections in Sierra Leone because the government was going to make it all transparent. In the long-term, Americans should be able to vote from our phone, and with blockchain, there will be zero chance of voter fraud. This convenience would create higher voter participation. We can also vote on governance principles we don’t agree with. For example, let’s say you’re a Democrat and you’re upset about the superdelegate rules. With Bernie Sanders, the rules were stacked against him. So we can create a system where we can vote not just to be a decentralized party, but to vote on the rules of the party itself and amend them. We should be able to decide on whether we want superdelegates or we don’t. I think this can be the great equalizing moment of our time. It’s a quiet kind of revolution right now, but it forces you to question things that we don’t think about. What excites me is that the youth of our generation will really be behind this and push it forward, as you can see with crypto economics and decentralization. They’re more than buzzwords, which really is exciting. You can see it in the real world of new economic values being created; we’re worker-owners as users of this system. It’s taking old dichotomies, like socialism and free-market capitalism, and mixing them together to make something different. So let’s imagine a Facebook that we all own and make money from every time our data is used. It will take a little longer in the West, but in developing nations these ideas are being realized. These new financial systems go well beyond credit scoring or an Uber rating. We’re going to see a new system of abundance and value creation. Within that value creation comes income equality done the right way. It’s not like, “Let’s kill the rich people and spread out the money.” I mean a new way of regulating how value is spread around. Access wants to help you get that opportunity in the developing world, where they have a chance to lead, but ultimately this sort of network will be something we all co-lead together.